Santa Ana La real. The Heart of Nordic Walking in Andalusia. Something has changed in a small village in the sierra recently. The elderly have put their wooden walking sticks to one side and have instead taken up two aluminium poles. Along the walking trails, it is becoming common to see people Nordic Walking; that is walking with poles. This sport is based on walking with the help of two special poles, dividing the effort between the upper and lower body, and using up to 90% of the muscles in the body. This new craze, apart from bringing foreign tourists to the region -British, German and other Northern Europeans- also brings to light the value of these footpaths as an ideal place for this healthy, outdoor activity. This sport is especially attractive for those with obesity related illnesses and cardiovascular problems, and other reported benefits including: high calorie consumption and fat metabolism; a reduction of joint pressure (ankles, knees and hips); lowering of cholesterol levels; and prevention of high blood pressure, Type 2 diabetes and osteoporosis. The initiatives put into place by the tourist board have helped spread the word of this new sport and created a group of guides or instructors in Nordic Walking for tourism and local group activities. 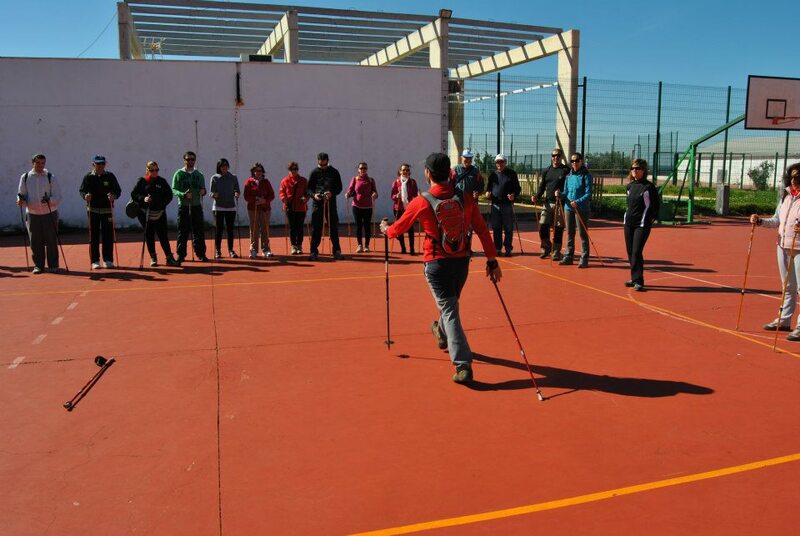 Santa Ana la Real has turned Nordic Walking into a tool for social and environmental change, using it as a way of encouraging social cohesion and as a fundamental part in the conservation and education of a rich natural heritage. Over the years most of the walking trails in the region have been restored, mainly by the locals, who have in turn become active in this conservation. There have been a great number of large-scale events in the area involving all the community. Recent initiatives include the development of healthy walks by the women’s group and the necessary walking sticks have been put on sale in the local bars. 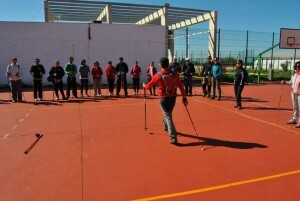 These activities are being offered by the local tourist business Serrachuela, and more details can be found at www.nordicwalkingsantaanalareal.com. 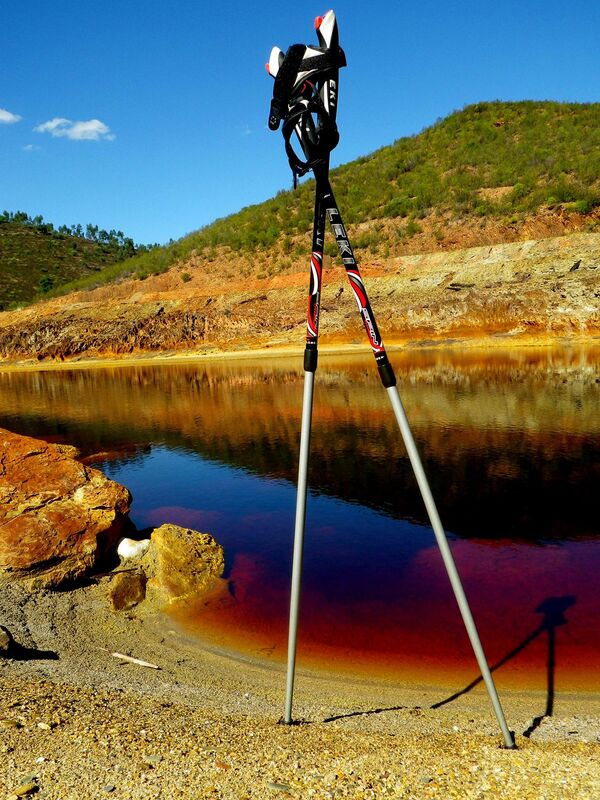 Nordic Walking should not be seen as either a passing fad or as an activity only for tourists and sports enthusiasts. This sport also offers local people a way of improving their health and way of life.